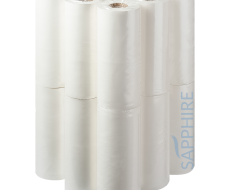 Sapphire White Couch Rolls are manufactured using premium virgin tissue whilst following strict CHSA guidelines..
Each roll provides quality hygiene protection for both medical beds and beauty salons, whilst also acting as a versatile cleaning product. 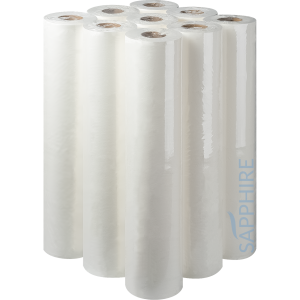 Our products come in standard 500mm width and are available as 40m, 50m and 60m rolls as well as a 32m embossed roll. 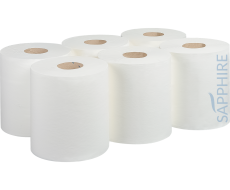 – UK manufactured – Each roll is tightly polythene wrapped for increased hygiene – Easy tear perforations on each roll – Soft and gentle on skin – CHSA accredited.